raved about its almost beatless, electronic strangeness. As a result offers to remix started coming in and we started accepting them. As we got enough we liked we would compile them on to 12"s.
trips, Craig Wharton, a long time buddy of Gage's and Intens, yet another alias of Colin & Malka. The Trawl mix proved to be a dancefloor fave for many years with it's early big-break approach. format, in 1995 this was not so and "Full Immersion" was in fact a ground breaking concept. 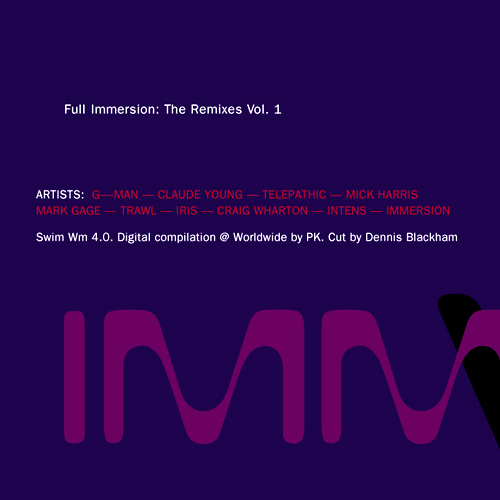 Unfortunately at this time we can't offer all the Immersion - Full Immersion tracks as individual flacs, as some of these tracks exceed the shops maximum (9mins) download length.